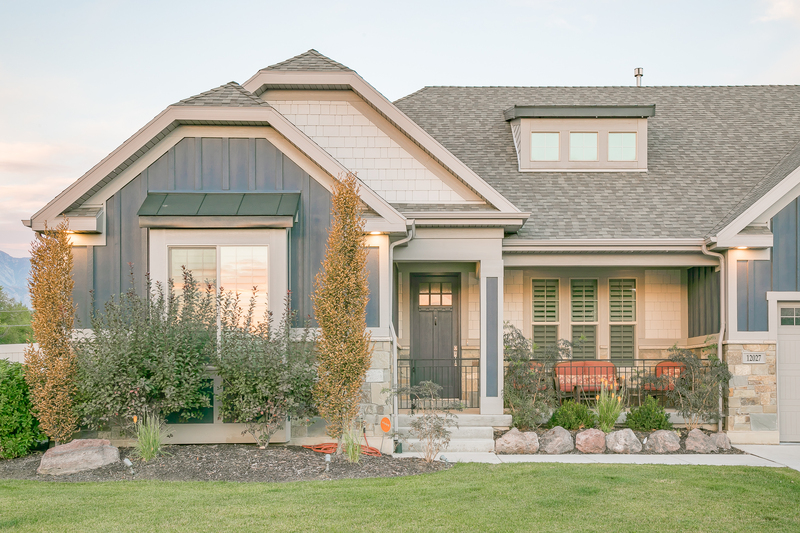 Craftsman Rambler with custom designer features found throughout. 10 ft door welcome you inside to reveal striking white cedar “wood-look” tile floors flowing throughout the bright open floor plan. Grand Vaulted ceilings in kitchen, family room and office. The gorgeous kitchen features custom cabinets, LED lighting, granite countertops, & stainless steel appliances. Master suite with modern wall fire place, spa like master bath with walk in shower with 2 shower heads, jetted tub, and dual sink vanity with marble countertops. Garage has extra length to allow 4 car parking (or work space) with epoxy flooring. Solar panels included & have provided excellent return in energy costs. Basement is ready to be customized to your hearts desires. Square footage figures are provided as a courtesy estimate only. Buyer is advised to obtain an independent measurement.